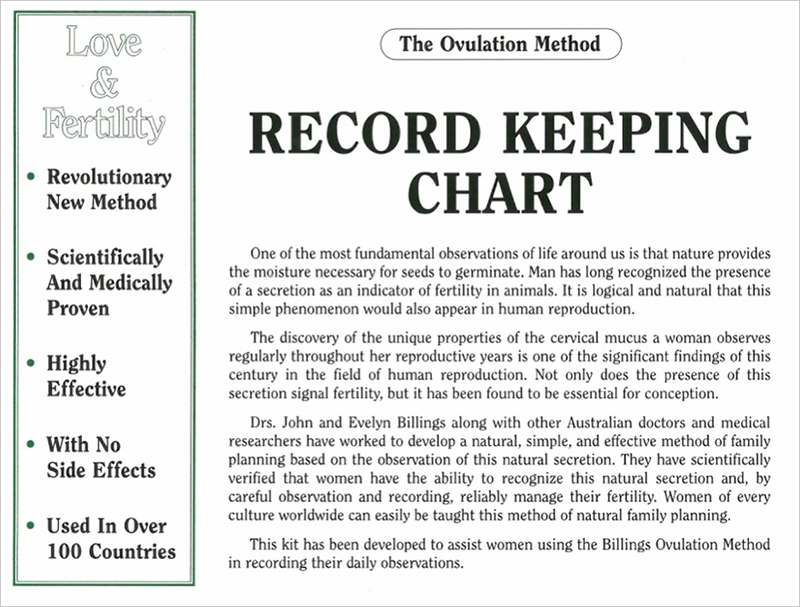 The most essential part of learning the Ovulation Method is keeping a daily chart of the woman's cycle. The complete permanent record-keeping charting kit comes with a 6 month chart, full color photo stamps, and observation instructions. Note*: The charting kit is already included as part of the package when ordering the book Love & Fertility for $29.99. This chart is availible in the following langages: English, Spanish, Chinese and French.